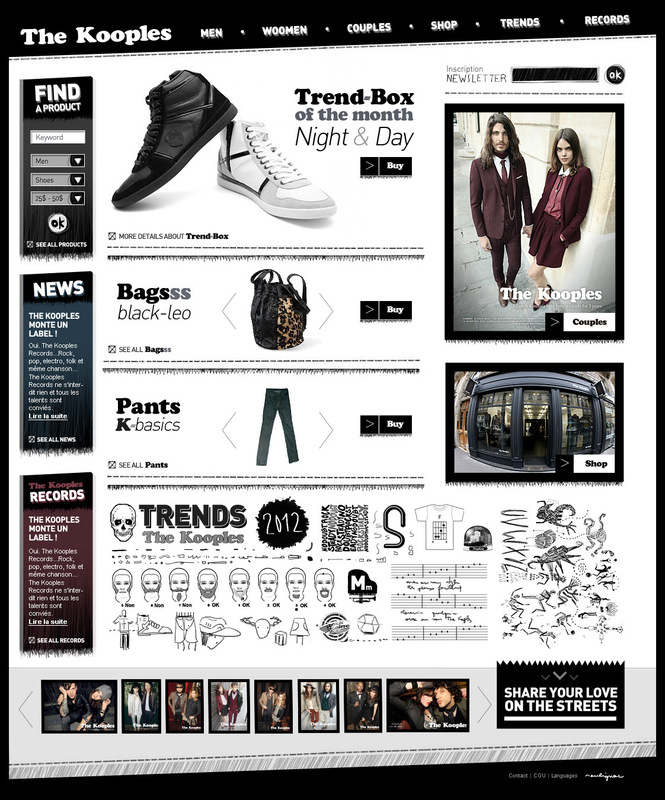 This website is a graphic and ergonomic proposition for the brand “The Kooples” (a french brand of clothes). It introduces three kind of content : the eshop with a new visual approach, mixed with brand content modules : a social operation related to the brand identity (“Share your love on the streets”) and a trend book including works of brand designer. © The Kooples, Eshop – Graphic and ergonomic proposition. Francois Soulignac, 2011. This entry was posted in Digital Art Direction and tagged Brand content, Digital, E-shop, François Soulignac, Graphic design, Hi-fidelity wireframes, Personal research, The Kooples, Web Digital Art Direction by François Soulignac. Bookmark the permalink.